Anthropologists have an interesting rule: the complexity of a civilization is positively correlated to its specialization. In other words, more specialists & deeper knowledge = a more developed society. Primer wants you to be on the leading edge of menswear innovation, so we’ve put together a list of 5 companies & technologies you should know about. You might be asking yourself, “What is a belt doing on a Most-Innovative list?” The belt is a bit like the wheel: circular, ancient, solid. But consider this: when was the last time you lost or gained a bit of weight? Were you suddenly stuck between belt holes and wearing your pants too loose or too tight? And unless you take care to regularly condition a leather belt, it’s going to show unsightly creases over time. This is especially true if you gain weight and have to reveal more of the belt. When you stop and think about it, it makes absolutely no sense to use belts with pre-set holes in the modern era. We have the technology for adjustable, custom-fit belts at a reasonable price point – why not put it to use? 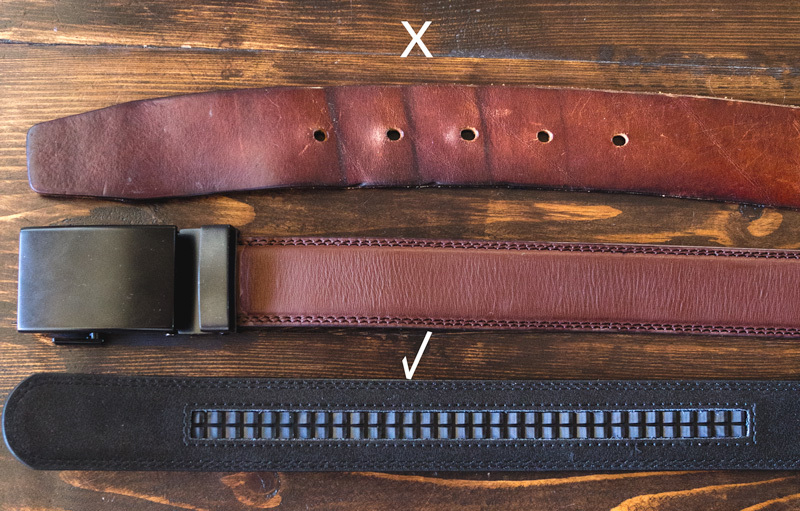 The micro-adjustable belt has been around for awhile but Anson Belt & Buckle has taken the adjustable belt to the next level in terms of quality, selection, and style. Anson's micro-adjustable belt allows a perfect fit regardless of the pants you're wearing or how much your waistline fluctuates. 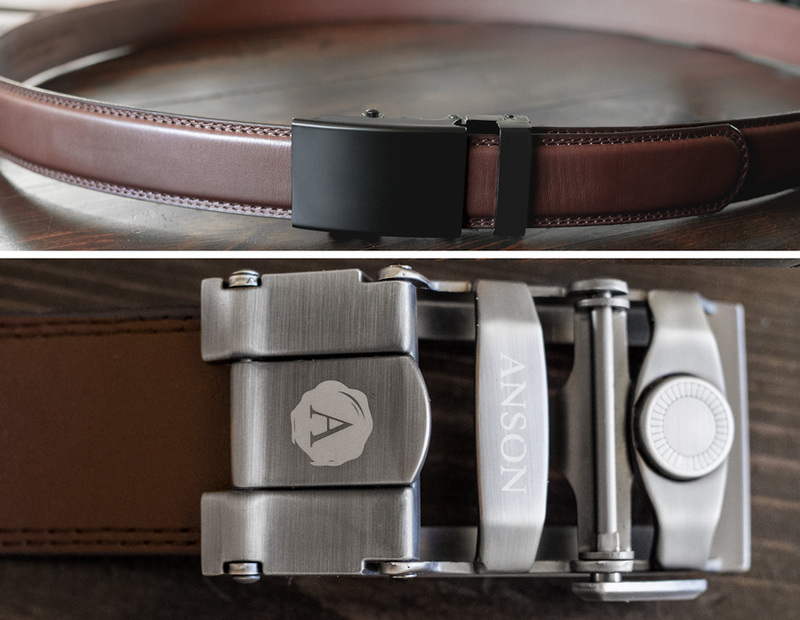 Founded in 2009 by a father and son team, Anson offers over a dozen buckle styles and more than 20 belts that are all interchangeable for true versatility. This means you can get a buckle (or two) you really like and then swap them between belt colors depending on what your outfit requires. The buckles in Antiqued Gold and Gunmetal are perfect for casual applications, while Anson’s classic gold, silver, and black work well with a suit or work getup combo. Leather belts are available in a variety of colors and finishes, along with cloth belts for Saturday afternoon at the beer garden. 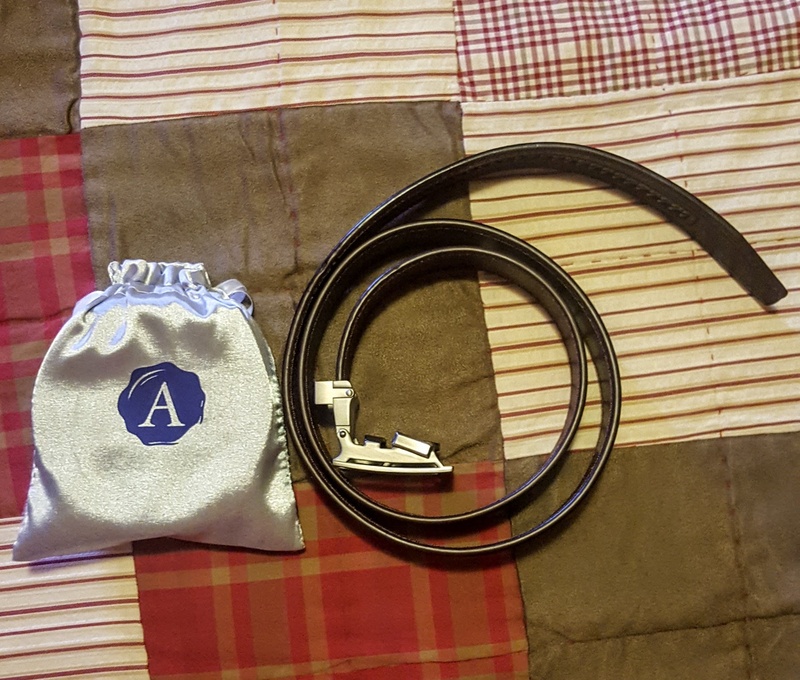 Throw in a lifetime guarantee, free shipping, a great box set option with 3 belts and 2 buckles or 2 belts and 3 buckles, and Anson Belt & Buckle is a solid bet. Algorithms power our modern lives, from Google’s search results to self-driving cars to dating website results calibrated for maximum compatibility. It’s no wonder that algorithms have found their way into menswear, and the reason is pretty cool: to free you from the tyranny of five-sizes-fits-all. 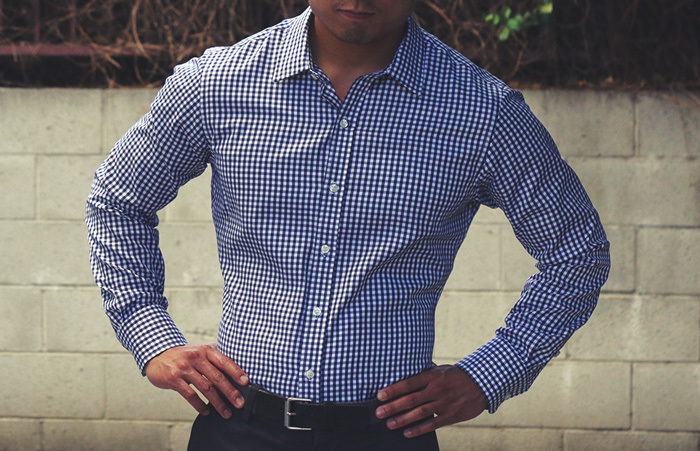 Stantt uses an algorithm to generate bespoke-fitting dress and casual shirts. Input three measurements and Stantt outputs one of 75 sizes in their database, created from body scans of real guys. If you don’t have a tape measure, Stantt will send you a measurement kit for free. Proper Cloth takes a slighstly different approach: an 11-item questionnaire that covers everything from typical t-shirt size to belly convexity to how snug you like your shirts. Based on the results, they output a bespoke shirt or blazer. Shopping either company won’t come cheap – expect to pay between $75 and $200 per piece – but consider what it’s worth to have something that fits you as your body demands. The story goes the so-called Magic Wallet was invented by French waiters in the 1920s to quickly stash tips and receipts. Whether this exact provenance is true or not is beside the point: it’s definitely a magic piece of gear. Technically a tetraflexagon, magic wallets utilize elastic bands to retain money, cards, and whatever else you throw at them. Simply place on one face and fold and hey presto – your belongings are secured by the bands. The sleight of hand never gets old or less enjoyable, but it’s their slim profile that’s the real selling point. If you’re ready to ditch a bulky traditional wallet, check out these options at J Crew and Amazon. Life is stressful. Men sweat. Sweat stinks. And it transfers that stink and stain to whatever you’re wearing, regardless of how inconvenient or embarassing. Fortunately, some innovative startups are trying to address this age-old problem with technology and forward-thinking design. Strongbody is performance workout gear utilizing anti-bacterial, anti-microbial, pile-resistant fabrics that get their potency from Chitosan, a compound derived from crab and shrimp shells. According to one study, Chitosan works by disrupting the cell walls of bacteria, making it impossible for them to live in the presence of the compound – think of it like a rumble strip that punctures the thick wall of a tire. Worry not, however – the compound isn’t harmful to structures on the scale of your skin cells. Ministry of Supply uses athletic performance gear technology in business casual essentials. Ministry of Supply is known for bringing space-age technology to office-and-evening-ready dress shirts, jackets, and slacks. Launched in Boston by MIT grads, they utilize a variety of technologies, including phase-change material which adjusts to the body's temperature, and warped knit fabric that looks normal but actually affords the wearer significantly more range of motion that traditional cotton. Ministry of Supply also makes use of antimicrobial tech, though their main focus is using innovation for a superior fit. 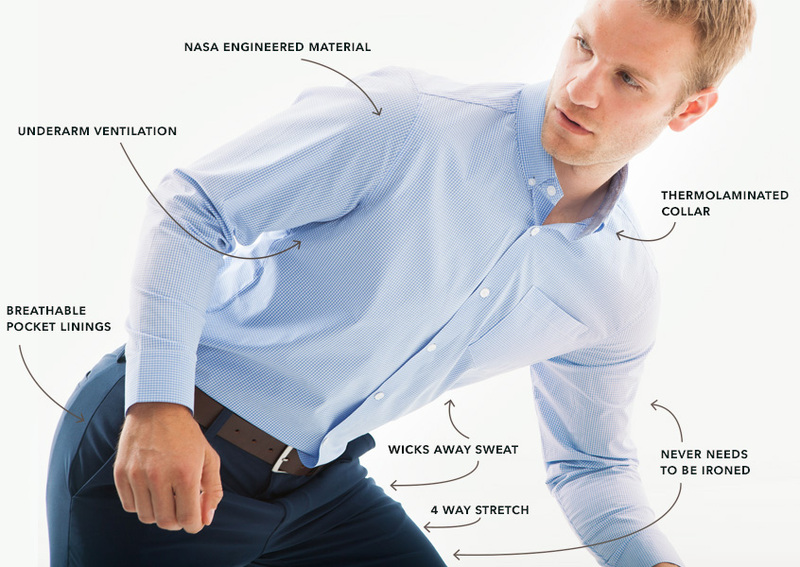 If you’re tired of spilling mustard on shirts and ruining them, Aussie company Threadsmiths has you covered: their hydrophobic t-shirts, polos, and dress shirts mean moisture runs off, rather than soaks in. It’s an innovative solution to the unnerving trouble spots underneath the arms. 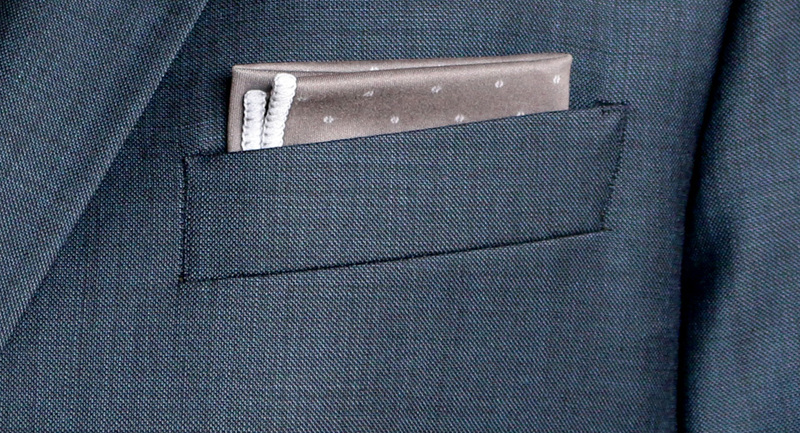 Pocket squares add color, style, and distinction to a blazer or suit jacket. What they don’t contribute? Function. That is, until now. Several companies, foremost among them Declan, are making pocket squares and handkerchiefs from microfiber cloth, the same fabric used for no-scratch screen and eyeglass material. It’s an idea so simple and elegant you wonder why it wasn’t done years ago, but we’re not complaining – one of the oldest menswear accessories has an internet age purpose. If you’re not digging Declan’s selection, head over to Amazon for more options or the uniquely-named Detroit shop Cyberoptix for custom designs. Check out their full line of interchangable micro-adjustable belts and buckles – their $100 gift box gives you 6 different belt options! Click here to check out Anson Belt & Buckle! Do you have a favorite menswear innovation? Share it below! My brain cannot process how awesome those belts are! My life is now complete. I have about 10 Anson belts and six buckles. They definitely deserve the #1 spot on this list. I use a very similar belt brand. They’re called SlideBelt and I love it!!!! I’ll definitely be investing in a magic wallet. A bit more spacious than a card holder but also very practical. Shouldn’t it be hydrophobic for the shirts? Although I find them unattractive, I have to admit that I love military style buckles. Unless your pants fit perfectly, it’s nice to have a buckle that can be adjusted as needed. The price seems a little high, but they do look nice. The Magic Wallet has awful reviews on J.Crew’s site, so I think I’ll pass. I don’t wear anything but cotton button-ups, so I’ll pass on the synthetic shirts, too. I’m sitting here at my desk wearing an Anson belt and a Proper Cloth shirt right now. Both companies are fantastic and have unbeatable customer service. I own six Proper Cloth shirts and have even visited their showroom in New York City and I received the Anson dress belt gift set for Christmas in brown, black, and tan with two nickel-free traditional belt buckles. Both companies are amazing. Ason belts are truely great. The micro adjustment feature is the best! Great recommendation on the Anson belt, oredeee one and it’s amazing! Also tried out a shirt from Stantt and Proper Cloth and honestly I prefer PC even though It’s a bit more but I’m so over wasting money at department stores and having 3 different sizes amongst different brands! Thanks!